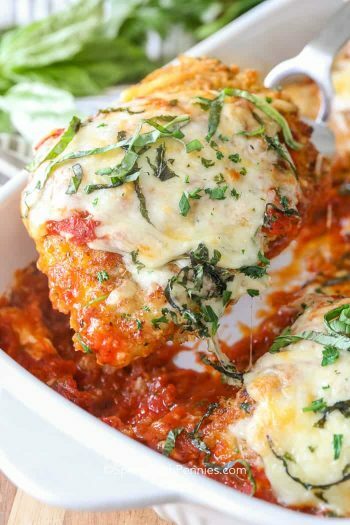 Chicken Parm is one of those dishes I love but just don’t have time to prepare during the week. As much as I love using a homemade Crispy Baked Parmesan Chicken as a base, I just don’t always have time to put it all together. 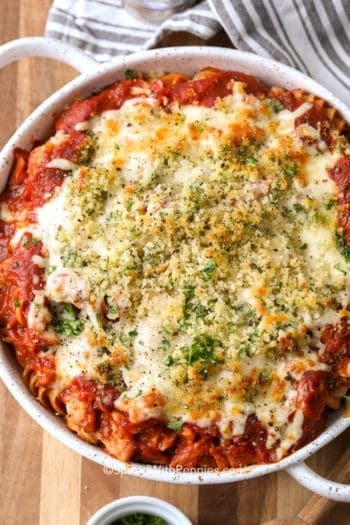 This easy recipe takes the flavors from a classic homemade chicken parmesan and with a few simple shortcuts, it becomes a fast weeknight meal! I love serving a good hearty meal on a weeknight before activities but time always seems to be an issue! 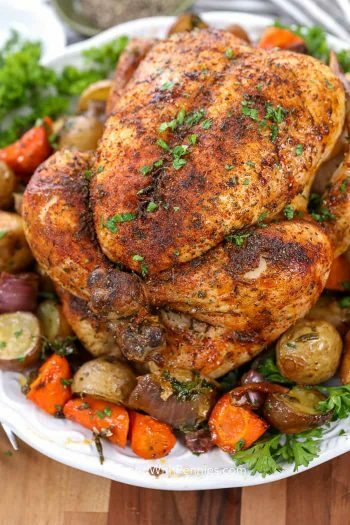 Since my daughter plays sports not only is it important that meals are quick (like this one) but they have to taste great and I also love to include carbs, meat and veggies! 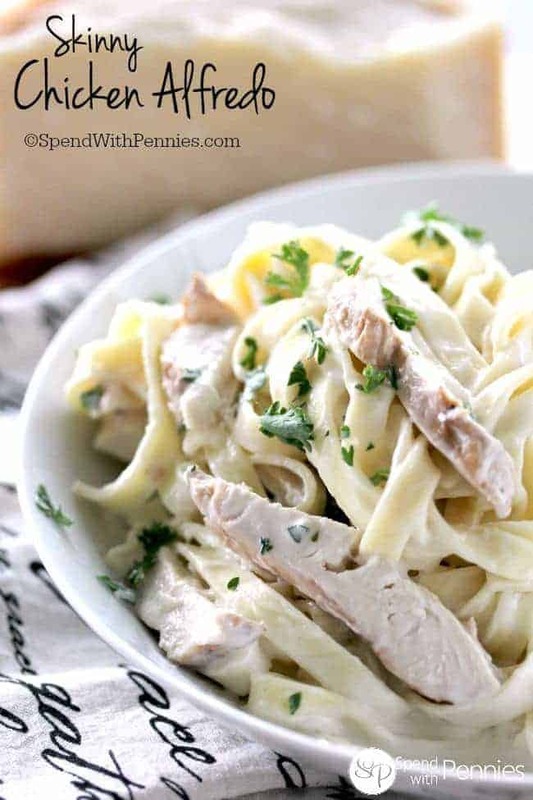 If you’re looking for the perfect way to get a family dinner on the table without spending hours in the kitchen and without a ton of dishes to wash, you’ll love this easy dish! 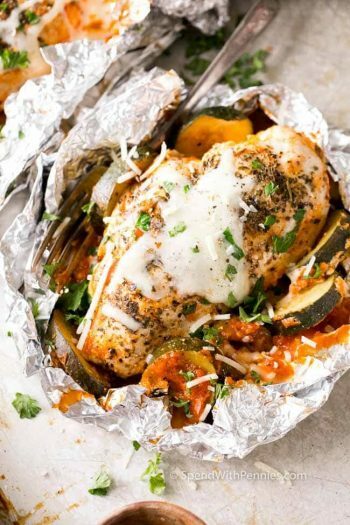 Not only is this Italian inspired dinner delicious, it’s on the table in under 30 minutes which is always a plus in my books! 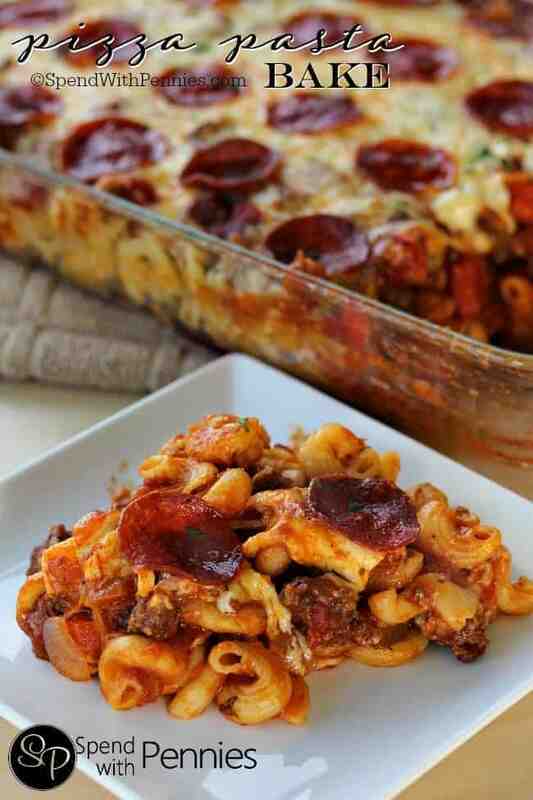 Not to mention, the kids went completely crazy for this, begging for any leftovers at their next meal! 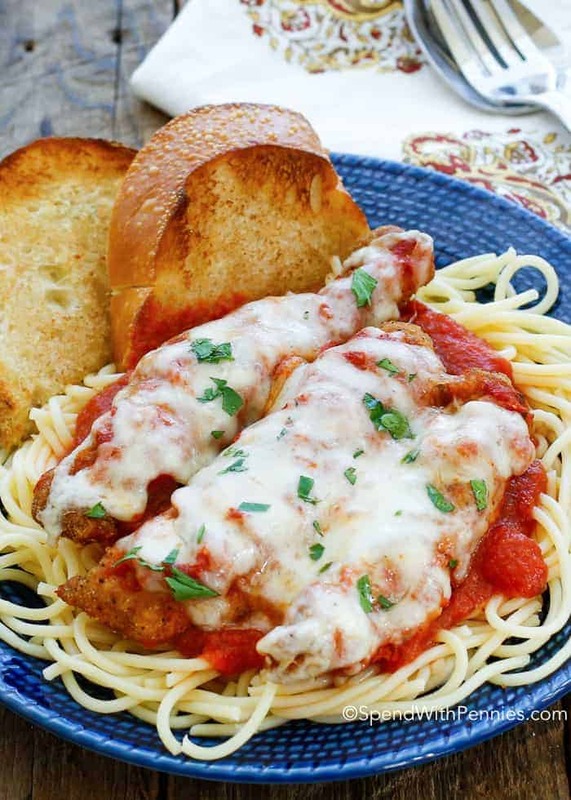 Traditional Chicken Parmesan consists of a breaded and fried piece of chicken topped with tomato sauce and cheese. In this easy version, we start with tender juicy Tyson® Lightly Breaded Strips making it extra quick! It’s so easy to grab a bag of these in the freezer aisle for a simple no-fuss base. 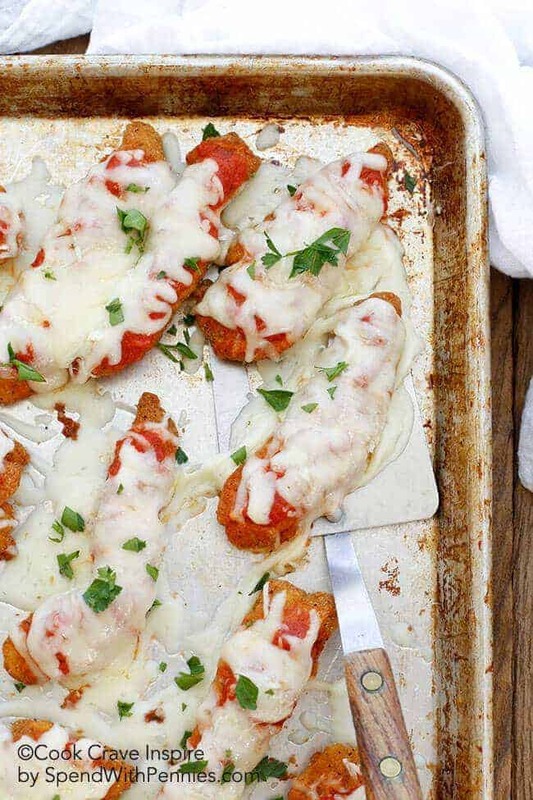 No breading mess, plus I much prefer a baked chicken parmesan to deep fried. 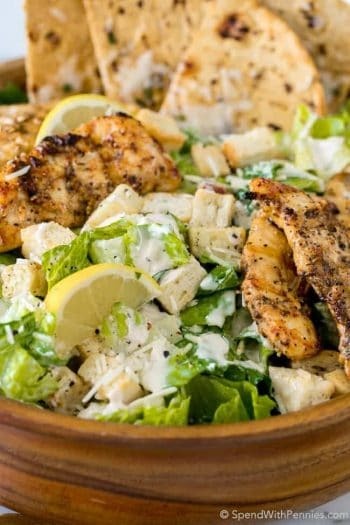 These Chicken Strips are made with white meat chicken and contain no preservatives making them the perfect starter for quick and easy meals like this. They’re great to throw into salads, drizzle with Homemade Sweet and Sour Sauce and or just to dip in our favorite bbq sauce!! Don’t skip the simple addition of fresh herbs if possible, this makes the whole dish taste homemade! 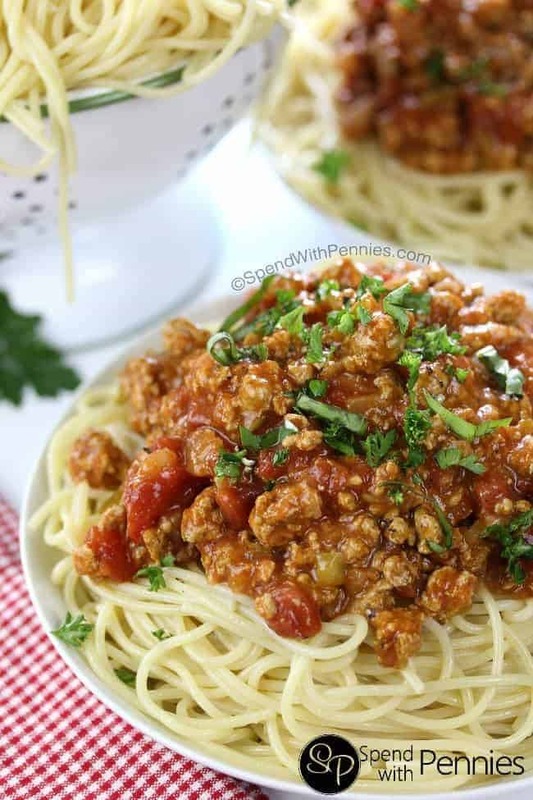 This is such a great meal, we heat up some extra tomato sauce and serve it over our favorite pasta (usually spaghetti or linguine) or even Mashed Potatoes! While this is baking I love to either do up some steamed broccoli or add Oven Roasted Lemon Parmesan Broccoli into the oven while it cooks! 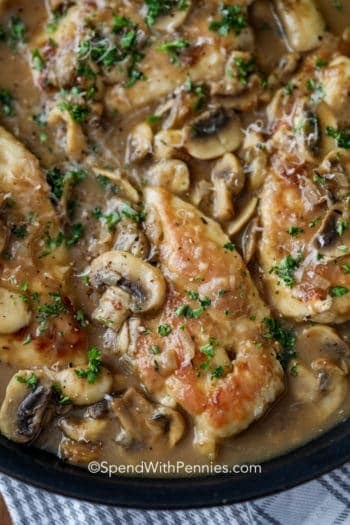 As with most saucy dishes, I also add some crusty bread or garlic bread to sop up any goodness left on the plate! 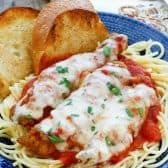 If you’re looking for the perfect way to get a family dinner on the table without spending hours in the kitchen and without a ton of dishes to wash, you’ll love this Weeknight Chicken Parmesan! Stir 1 tablespoon each fresh basil & parsley into pasta sauce. Heat sauce on low while chicken is cooking. Place Tyson® Lightly Breaded Strips on a baking pan and cook for 15 minutes. Remove from oven and turn the oven up to 450 degrees. Spoon about 1 tablespoon pasta sauce on each chicken strip. 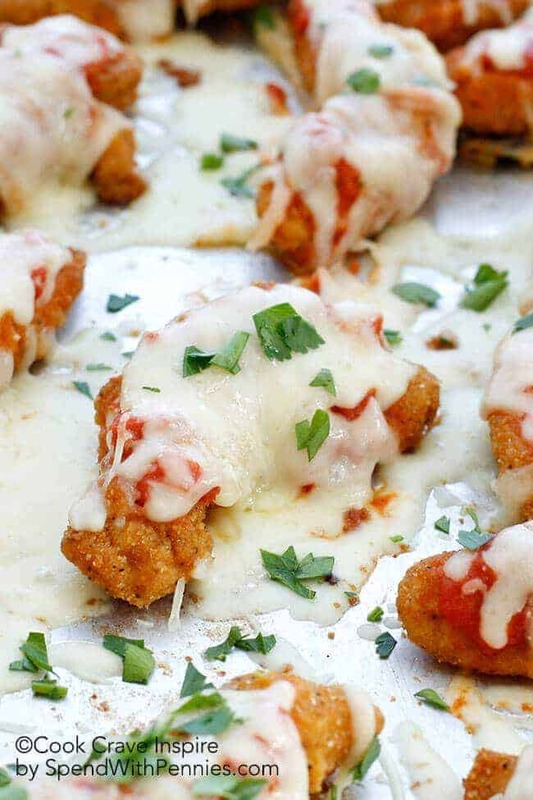 Divide cheeses over chicken and bake an additional 5 minutes or until cheese is melted. Meanwhile, boil pasta in salted water according to package directions. Toss with olive oil. To serve, place 1 serving of pasta on a plate, top with 1 spoonful of pasta sauce and cheesy chicken breast strips.